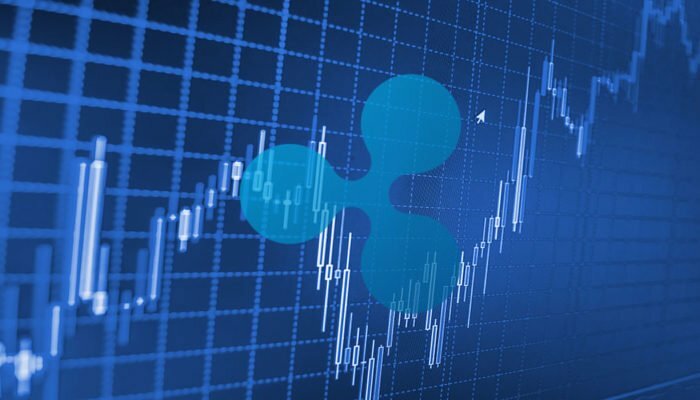 Ripple price failed to move above the $0.6250 resistance level and declined against the US dollar. There is a major bearish trend line formed with resistance at $0.6120 on the hourly chart of the XRP/USD pair (data source from Kraken). The pair is likely to decline further towards a major support level near $0.5780. Ripple price is clearly under pressure against the US Dollar and Bitcoin. 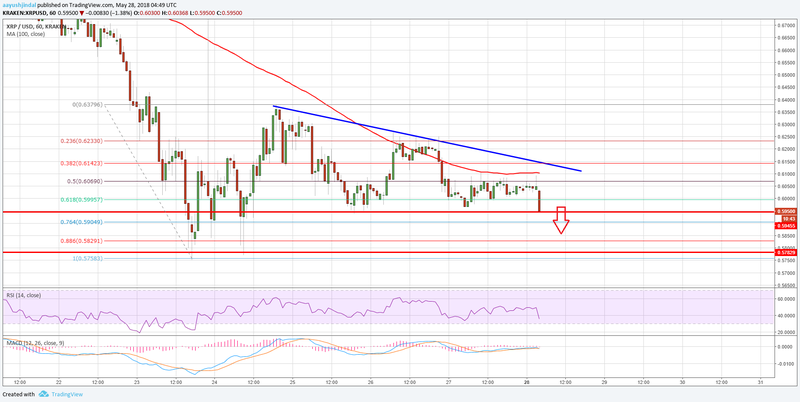 XRP/USD may well accelerate declines below $0.6000 in the near term. After forming a decent support base around $0.5750, Ripple price recovered against the US Dollar. However, the upside move was limited as the price struggled to break the $0.6200-0.6300 resistance zone. It also failed to settle above $0.6100 and the 100 hourly simple moving average. There was a downside reaction and the price settled below the 50% Fib retracement level of the last wave from the $0.5758 low to $0.6379 high. The current price action is bearish below the $0.6150 level. On the upside, the 100 hourly simple moving average, which is currently at $0.6100 might continue to prevent gains. There is also a major bearish trend line formed with resistance at $0.6120 on the hourly chart of the XRP/USD pair. A proper break and close above the trend line resistance and $0.6200 is needed to decrease the current bearish pressure. Above $0.6200, the next major barrier for buyers is near $0.6500. Looking at the chart, the price is about to break a key support at $0.6000. The next support is close to the 76.4% Fib retracement level of the last wave from the $0.5758 low to $0.6379 high at $0.5900. However, the most important support is around the last swing low at $0.5750, which must hold losses.